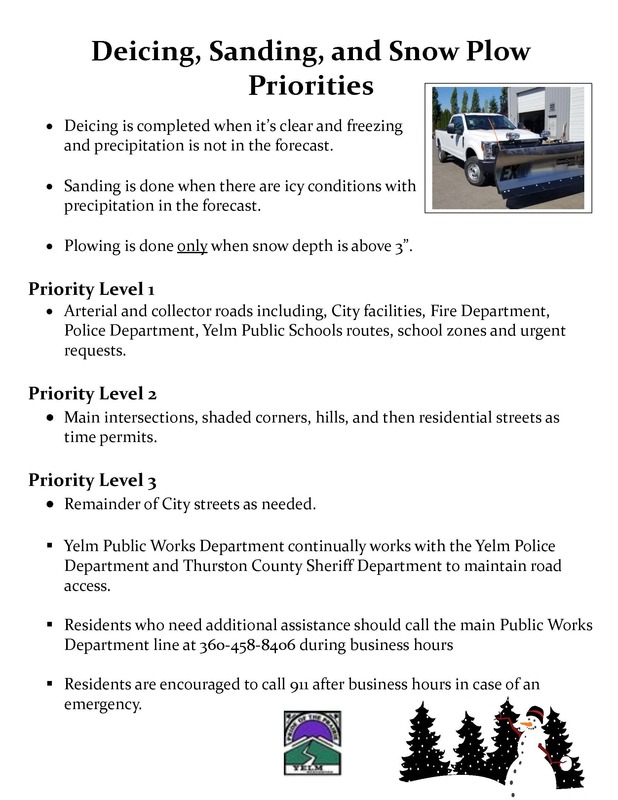 T he City of Yelm provides quality water, sewer and stormwater service to residents. Fill out an online utility application, or visit our office at City Hall to set up an account. Application for Service — To open a water utility account with the City of Yelm, please fill out an Application for Utility Service online, or in person at City Hall. Please allow 24 hours to connect a new service. Renters are not able to open their own utility accounts. Landlords must open a utility account on behalf of their tenants. If you are the owner of a rental unit, you have option to leave the utility account in your name or place the account in the tenant’s name. The homeowner must complete the application and will receive a duplicate copy of delinquent bills, and the tenant will receive the monthly billing. If you use a property management company to manage your rental, you can authorize the property manager to transfer the account in your absence, please submit the property management agreement to the City if this is the case. Disconnect Services — To disconnect your utility account, please fill out a Disconnect Application online, or in person at City Hall. A final bill will be generated on the first of the following month and posted to the account. Landlords and property managers are able to disconnect services on their tenant's behalf and leave the water on. All others will be disconnected and turned off on the date listed on the disconnect application. Property owners are responsible for all utility charges . If tenants fail to pay their final balance, the account must be brought current before new tenants can be enrolled. Following 90 days, all delinquent tenant balances will be moved to landlord accounts. For additional information, contact the Utilities Department at 360-458-3244, 9 a.m. to 5 p.m., Monday through Friday.